Kara and I have been eager to visit the Taza Chocolate Factory, so utilized an open Saturday to satisfy a twin chocolate craving. While sampling an assortment of 100% Stone Ground, Mexican-style chocolate (from cinnamon to raspberry to salted almond to guajillo chilli), our charmingly enthusiastic and engaging guide, Josh took us through the funky warehouse. When the 45-minute tour ended, we instantly wanted to book a trip to the ‘Cocoa Belt’ of Central America. Josh explained how the chocolate-making process begins in Central America where cacao beans are harvested, fermented and dried before being shipped to the US. In Somerville, the cacao beans are roasted in a vintage cacao roaster which allows the shells to loosen from the beans. The roasted beans are then passed through a winnower which separates the shells and germ from the cacao beans and breaks them into cacao nibs. Next, the cacao nibs run through a Mexican stone mill (or 'molino') and are ground into a cocoa liquor. 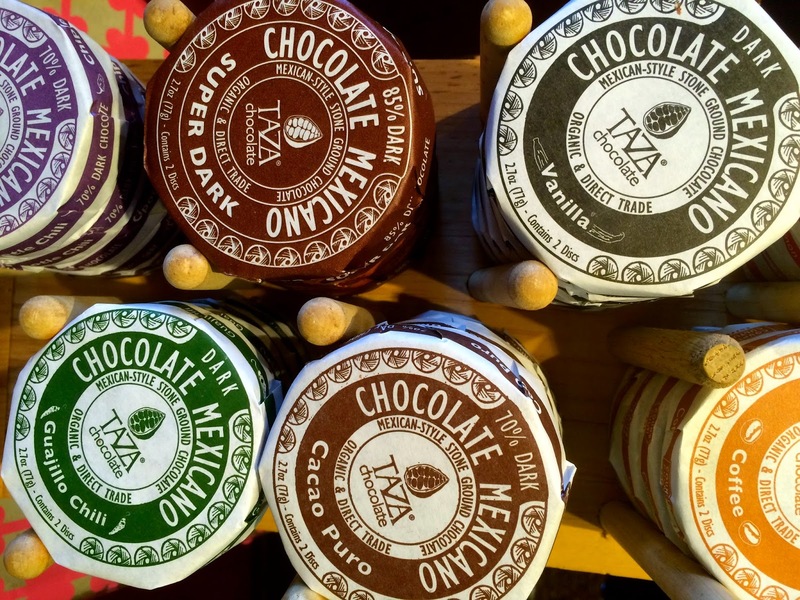 The resultant thick paste is combined with sugar and either reground to be transformed into the Chocolate Mexicano Discs, or further refined to become the Stone Ground Chocolate Bars. From there, the mixture is tempered to allow the crystals to develop and align for the perfect texture and punch. Finally, the chocolate is molded, dried in Taza’s custom drying room, and packaged to enjoy all over the world. We were amazed how all of this was accomplished so carefully by hand. We left with an abundance of chocolate goodies including my personal favorite, the crunchy, nutty Chocolate Covered Cacao Nibs. My mind was mulling over how to incorporate the bits into a sweet treat. I sought inspiration from my time living in the North End with Kara where arancini (Italian fried risotto balls) were popular treats. My sweet version of the ultimate crispy, melty snacks are filled with chocolatey Taza-infused rice pudding. In a medium-sized pot, bring the water to a boil on high heat. Add the arborio rice, reduce heat to low, and cook until the water is slightly absorbed, about 10 minutes. Meanwhile, in another medium-sized pot bring the almond milk, granulated sugar, butter, vanilla and cinnamon to a slow simmer over medium low heat. Once the rice has cooked for 10 minutes, strain the milk mixture into the rice mixture. Allow the combined mixture to thicken over low heat for about 10 more minutes until the rice is al dente. If the mixture is a bit liquidy, spoon off some of the milk from the top. Pour the rice mixture onto a large parchment-lined baking sheet and spread out into a thin layer. Let chill in the refrigerator for 20-25 minutes. 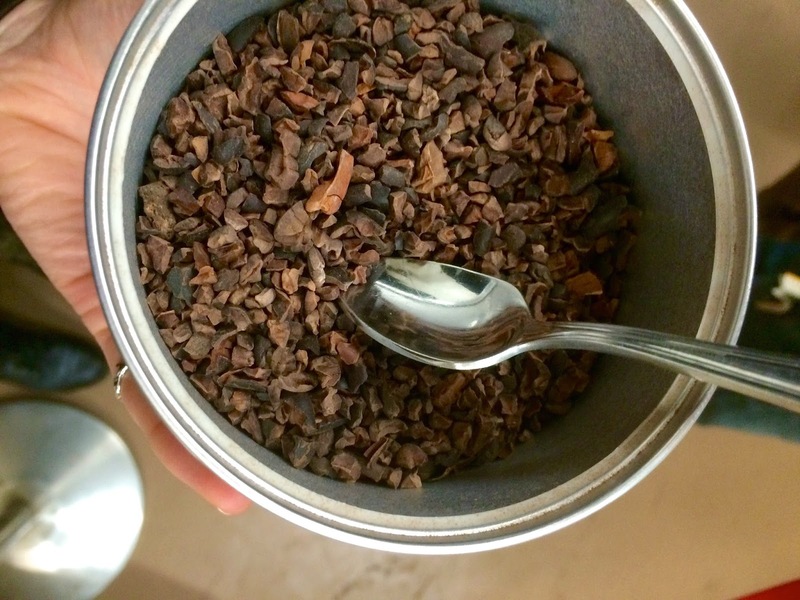 When the rice mixture has cooled, slide it into a large bowl and mix in the cocoa nibs. With a tablespoon, form the rice mixture into small orbs (you may need to use your hands to shape) and line up the balls on a baking sheet. Return the rice balls back to the fridge and let set for an additional 20 minutes. Once the rice balls are set, heat 3 inches of canola oil in a pan to 350 degrees Fahrenheit. Place the breadcrumbs, sugar and cinnamon in a shallow dish. Add the beaten eggs with 2 T water into a second dish. 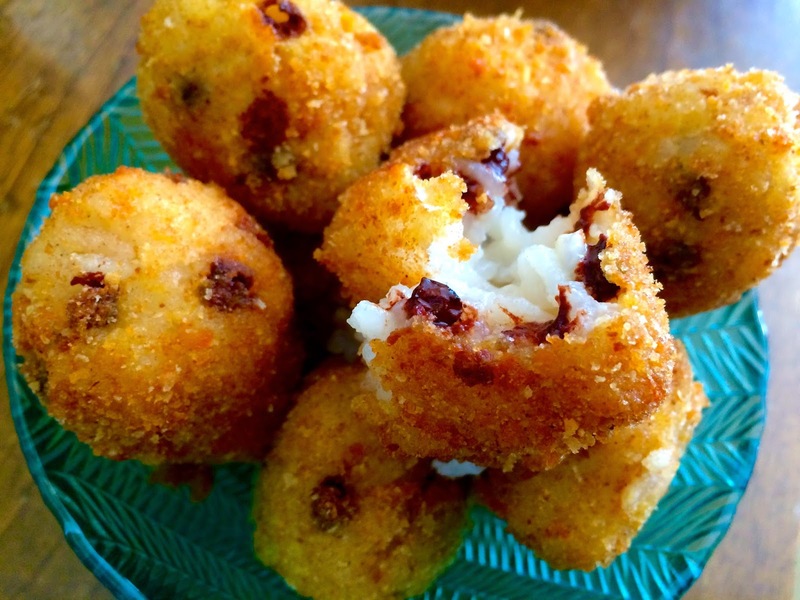 One at a time, dredge the rice balls in the eggs and then roll in the breadcrumbs. In batches of 5 or 6, place the balls into the hot oil with a slotted spoon and fry for 2-3 minutes, turning occasionally, until golden brown. Drain on paper towels and serve. Makes at least 2 dozen balls.